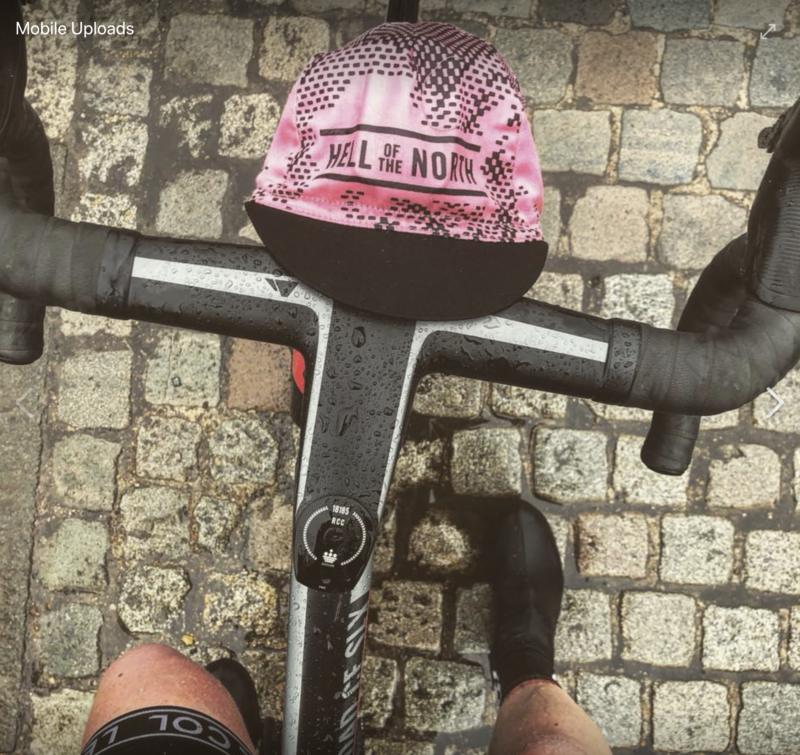 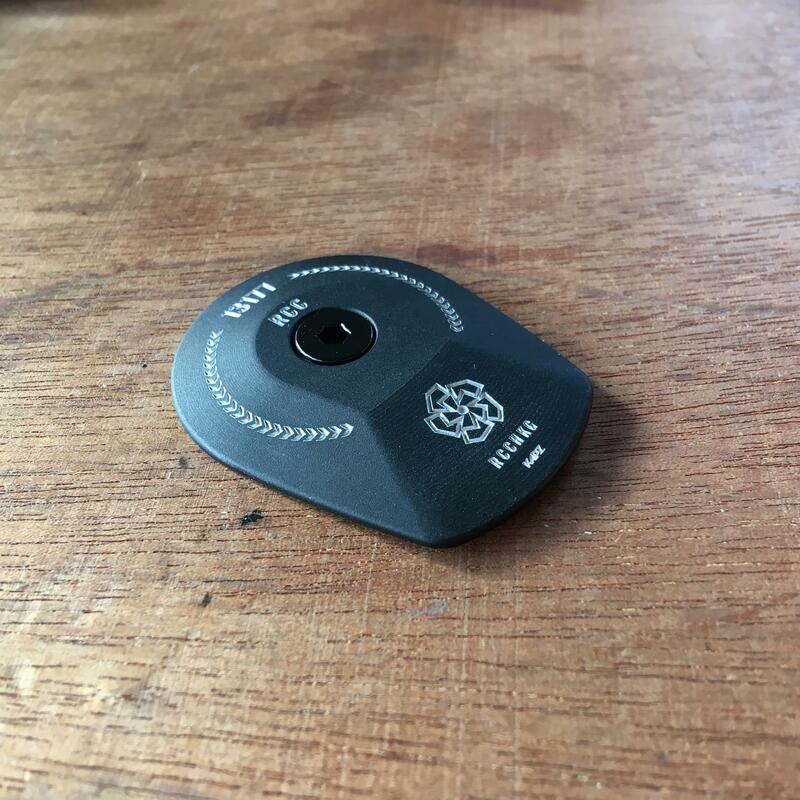 We have manufactured our own billet aluminium KAPZ Canyon Headset Cap - it fits the Canyon Aero System perfectly and comes in a matt finish WITHOUT the Canyon logo at the bottom = more space for your own design . 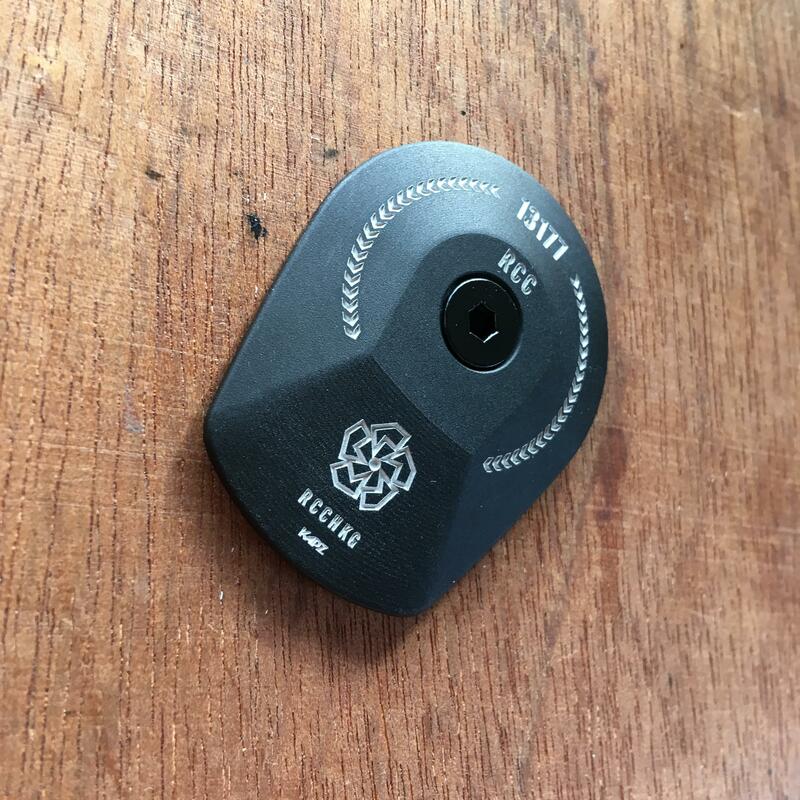 . . and it looks amazing - of course! 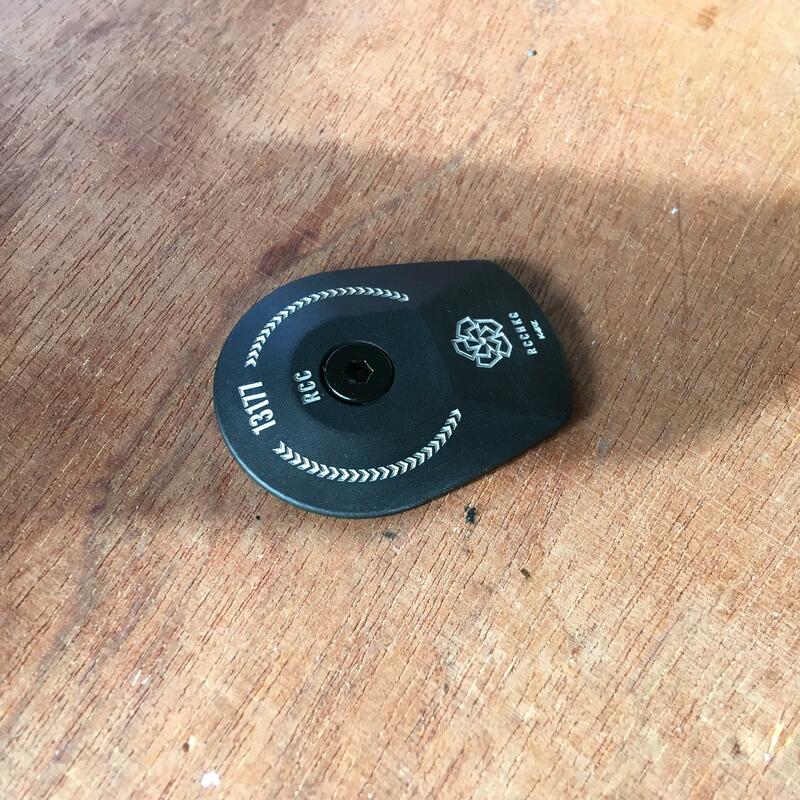 We also now make our own Stainless Steel Bolts - a silver one comes as standard, but you can also choose a black or a gold bolt too. 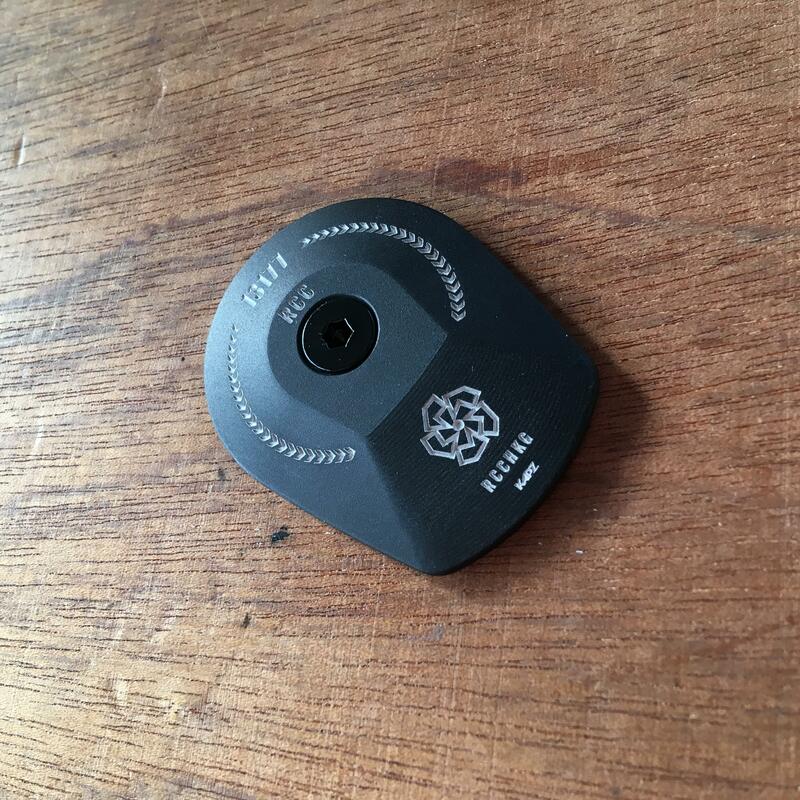 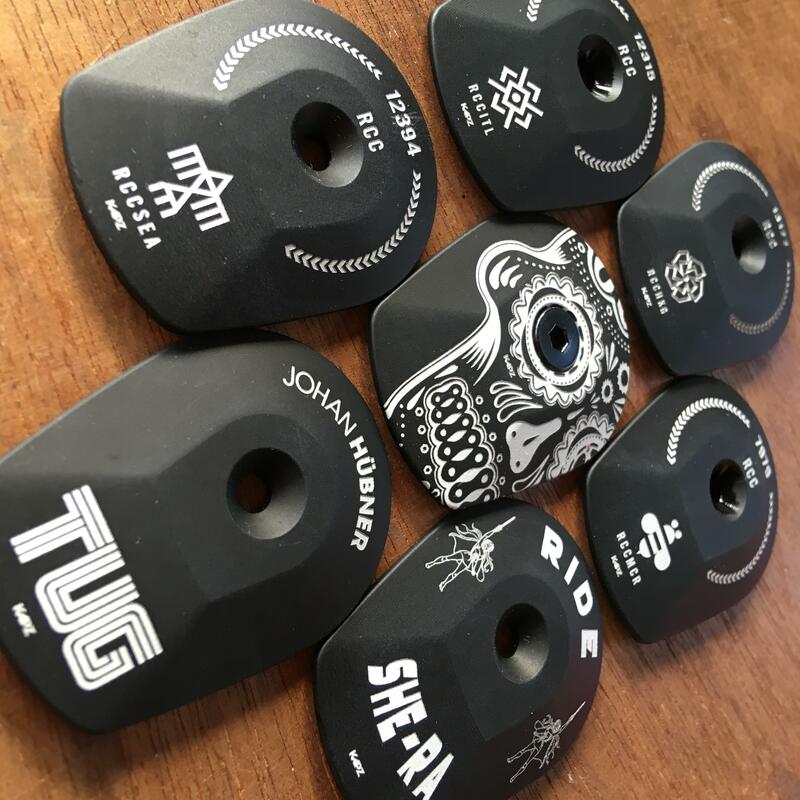 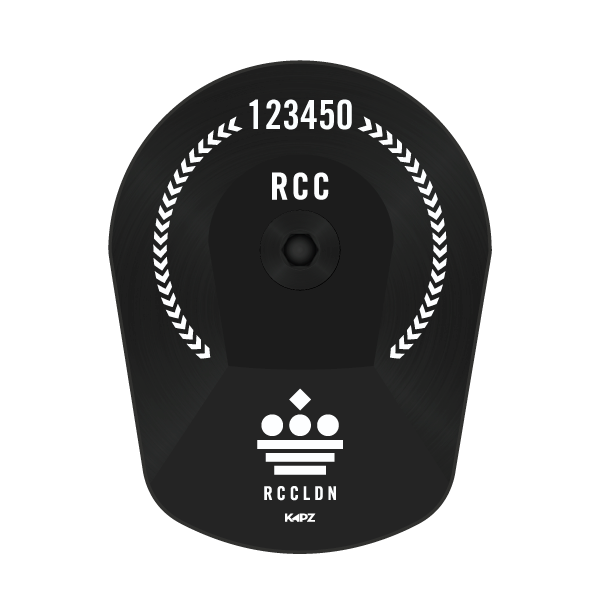 Our stunning RCC Canyon Aeroad Laser Etched Headset Cap includes your personal membership number, the symbol of your RCC Chapter in the iconic RCC design. 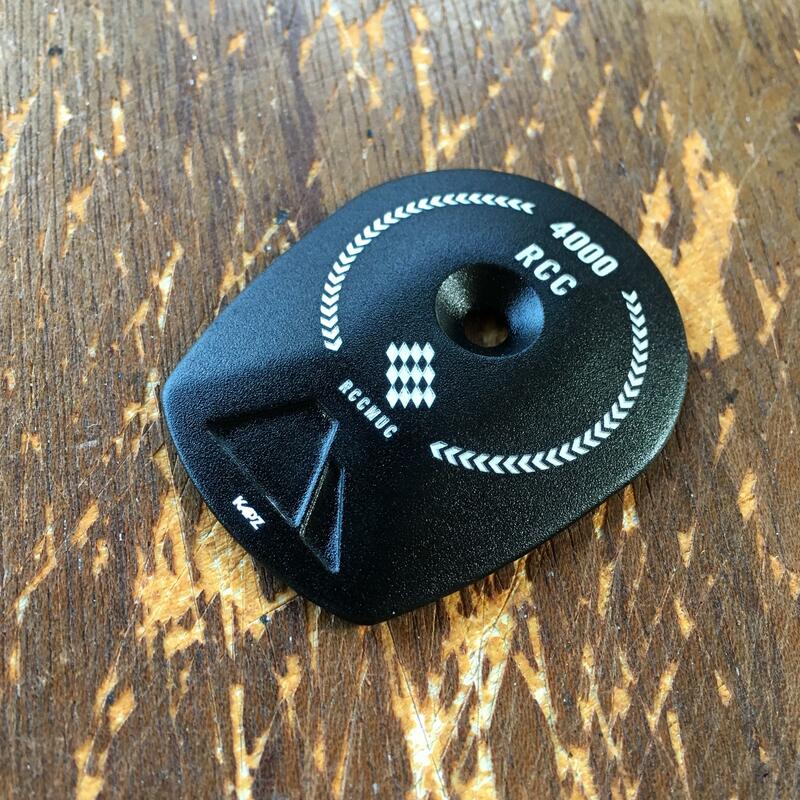 LASER ETCHED Canyon Aeroad HEADSET CAP SPECS . . .